The Social Media Marketing definition means digital marketing that specifically happens on social media networks. Social media networks are online communities of people that offer networking opportunities with other people. Each social network supports different types of media that can be shared, including text posts, images and videos. Social Media Marketing (SMM) is the marketing to a group of people on social media networks. Social Media Networks are online communities comprised of different groups of people, also referred to as networks. Related: What is the Digital Marketing Definition? The growth of social media networks over the years, has made social a very popular online channel to use for marketing and promotion strategies. Social media connects people with people all over the world. Social enables connections and promotes feelings and emotions. This psychology has enabled these online communities to grow with billions of people, all in one place. Statista has a report for the top 24 most popular social networks by the number of active members. The top ranked social network is Facebook with over 2 Billion monthly active members (i.e. users). Other sources can list up to 50 to 100 different social media network options, although most of them are not really popular. To keep this article simple, let’s take a deeper look into 10 of the most popular social media networks in the world. 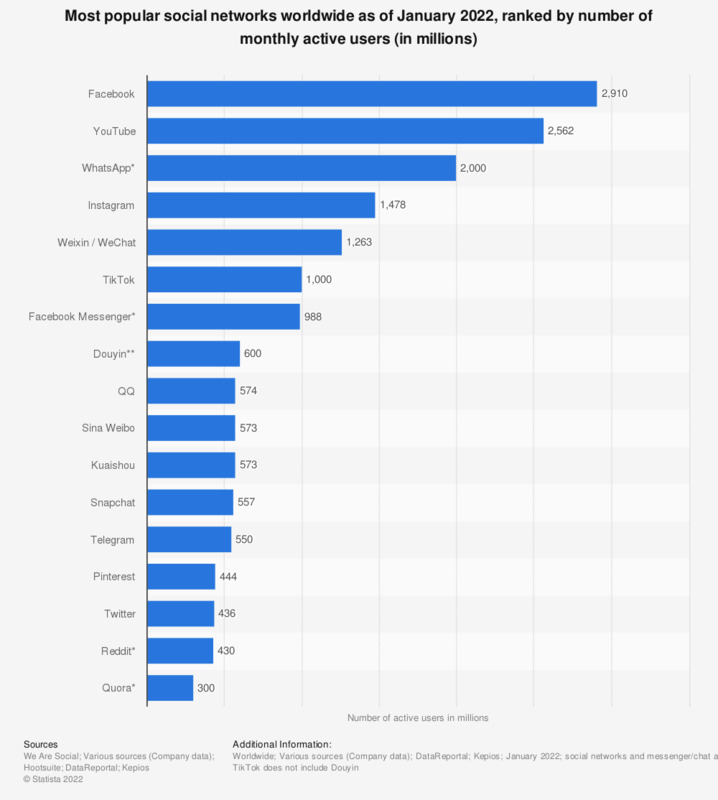 Facebook is the largest social network in the world. It is used by both businesses and consumers. There are 1.4 billion users active on a daily basis and 2.13 billion active users on a monthly basis. Facebook’s mission is to connect people with people all over the world. The platform enables personal connections, conversations, personal content sharing and social engagement such likes, comments and shares. Twitter is a popular and used by businesses and consumers. 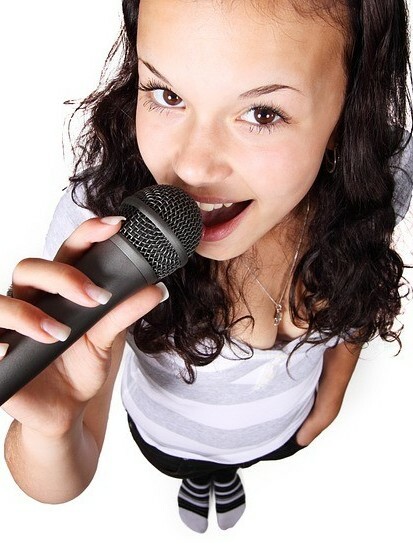 There are 330 Million members on Twitter. Twitter is popularly known for short content messages or tweets. With a character limit of 240 characters (recently increased from 140 characters), the copy length restriction creates a strong need for precise and direct content. The character limit and the addition of Twitter Cards makes Twitter a popular content sharing and message platform. LinkedIn is a popular and used primarily for business. Used for networking among companies, LinkedIn states they have over 500 million users. Instead of being targeted at connecting you with your friends and family members, this network is more targeted to helping you connect to others within a professional business type of network. LinkedIn helps you maintain your professional work identity and even apply for jobs if you are looking. For business, LinkedIn enables sharing product content and services that could be used by other businesses. YouTubeis an extremely popular social network used by both businesses and consumers. YouTube is also owned by Google. Being the second largest network behind Facebook, YouTube has about 1.5 Billion members. It is a video platform specifically designed to connect you with video content and help you share your own made video content. This network is more about video watching and about learning something new visually. Video marketing has become a widely used strategy for content marketing. Instagram is another popular social network used primarily by consumers. Instagram is owned by Facebook. This network has about 800 million members. Instagram is more of a personal network focused on personal connections with friends and family. However, Instagram has released advertising for companies to market to Instagram members. This platform is really focused on visual photos and sharing visual images with your connections. Pinterest is a popular social network primarily used by consumers but has been successfully used by some businesses. Pinterest has about 200 million members. This network is very visual and popular for those looking to DYI, Do It Yourself. With Pinterest Boards, you can discover new information such as recipes, home ideas and style inspiration. This platform enables finding and sharing new information visually, with photos and short videos. Snapchat is a social network primarily used as an instant messaging app by consumers and younger generations. With about 255 million members, this platform is a mobile messaging application that is only accessible from a mobile device. What makes Snapchat unique is the pictures and messages are only available for a short period of time. Your sent or received messages do not live on forever and eventually disappear. This platform enables real-time sharing of quick video chats, photos and messages with sticker and graphic embellishments. Whatsapp is another mobile messaging app and social network. This network ties with Facebook Messengers for the third largest social network with 1.3 Billion members. Whatsapp is also another social network owned by Facebook. You can send free text messages or call anyone in the world without incurring any text or roaming fees. Snapchat is a messaging platform that enables free instant messaging and Voice over IP service. Facebook Messenger is a social network and messaging app also owned by Facebook. This network is tied with Whatsapp with 1.3 Billion members. Facebook originally developed Facebook Chat in 2008. 2 years later, Facebook revamped the chat product to this messenger offering. Facebook Messenger is a messaging platform that enables free voice and HD video calls, photo maps and stickers. Social Media Empowers Everyone To Have A Voice! Social Media is powerful because everyone can have a voice. If you want to reach out to your family member who is in another country, you can do this on social media. Without a charge for an international phone call or a charge for a text message. 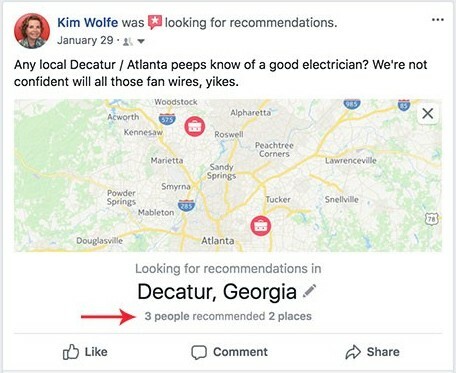 If you want to ask your friends for a local electrician recommendation, you can do this on social media. And get instant feedback and recommendations. If you want to complain about bad customer service with your cable company, you can do this on social media. And be heard instantly without wasting 30 minutes on the phone with the company’s customer support. Businesses began recognizing this power early on and have learned to leverage social media as a consistent communication channel. Social media is where their consumers are. Today, incorporating social media marketing into your overall business marketing strategy is a very common practice. 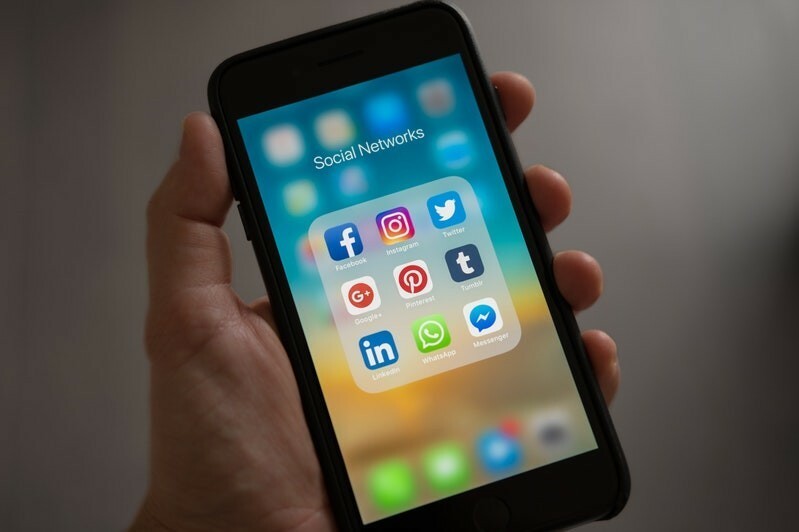 Not using social media as a communication channel is a missed opportunity to connect with your customers where they are. And if your customers are complaining about your service or products, then you are letting these people dictate your company image among their friends, family and followers. When talking about marketing strategies, you have to be strategic on how you talk to consumers. When specifically looking at marketing strategies on social media, it is no longer acceptable to be salesy. Perhaps it was never acceptable! Social is all about being personal, even if you are a brand. You can’t just say “Hey. Buy my product!” and expect everyone who sees your promotion to instantly buy your product. To the point that advertising has become a complete turn off and common complaint within social media communities. But efficient advertising and marketing strategies still work, even on social media. You just need to provide content with meaning, as stated by Andrew Lamping. Let’s take a look at examples of the social media marketing definition in action. From big companies to small, many businesses are executing creative social media strategies to learn from. PupSocks is a company that sells custom printed PupSocks, CatSocks or FaceSocks. Whether you fancy the face of your pet or yourself, wear that face on your socks! 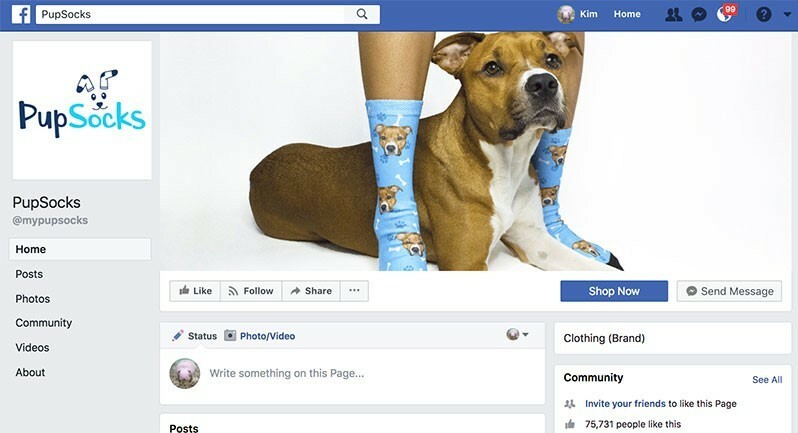 PupSocks has brand pages on social media for Facebook, Instagram and Twitter. It looks like the Twitter page is fairly new because the Twitter page only has 146 followers compared to 75,000 Facebook fans and 40,000 Instagram followers. 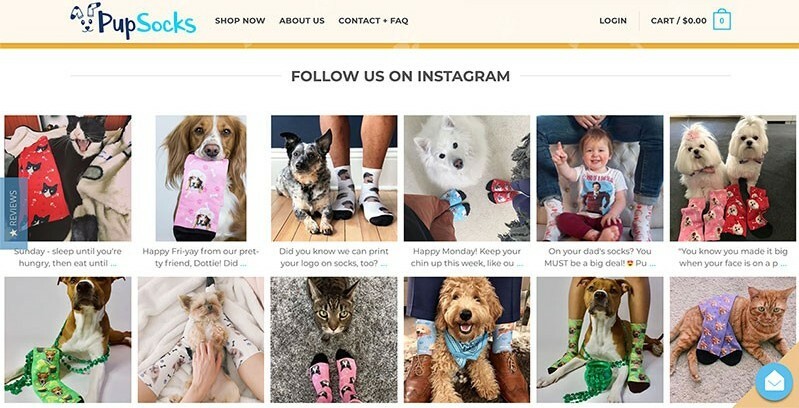 The PupSocks website is integrated with their Instagram account. You can see all the Instagram photos and click through to Instagram if you want. Since Instagram is a very photo driven sharing network, Instagram provides a nice photo gallery option for the website homepage. This unique custom sock company has consistent branding across each social media network. You can tell they are the same company, although they have done a good job of keeping each network similar but unique. They do not repeat the same photo everywhere. PupSocks also had a well-thought-out social media marketing strategy. Because of their staggered follower and fan count numbers, PupSocks likely started out with one network at a time. They worked on one network and built that network up with content and a community base. Then expanded to another network when they were ready handle that extra work. When starting out with marketing on social media, it is best to launch one network at a time. Each network has different rules, different media and size restrictions and different audiences within them. Therefore, you want to learn, appreciate and utilize each network effectively before you expand to more networks. Who hasn’t heard of Airbnb? Who hasn’t used Airbnb services? Airbnb connects people with places to stay, all over the world. It’s more of a service than actually tangible product like socks. They allow people to rent out their own spaces to other people who need a place to stay. Whether you need a room for one night or seven nights, AirBnB is popular because every room and place is different. It’s not like a hotel where the 500 rooms are practically the same with slight modifications for bed sizes and such. And this company handles all the work around this from providing professional photographers to take photos of your available space to booking a room for next vacation trip. So how does their presence on LinkedIn relate to their services? LinkedIn is primarily used for business networking. And this is exactly how Airbnb uses this social media network. Airbnb uses LinkedIn to recruit more employees. They have offices all over the world from United States of America to Singapore. A large company like Airbnb will always need good talent. 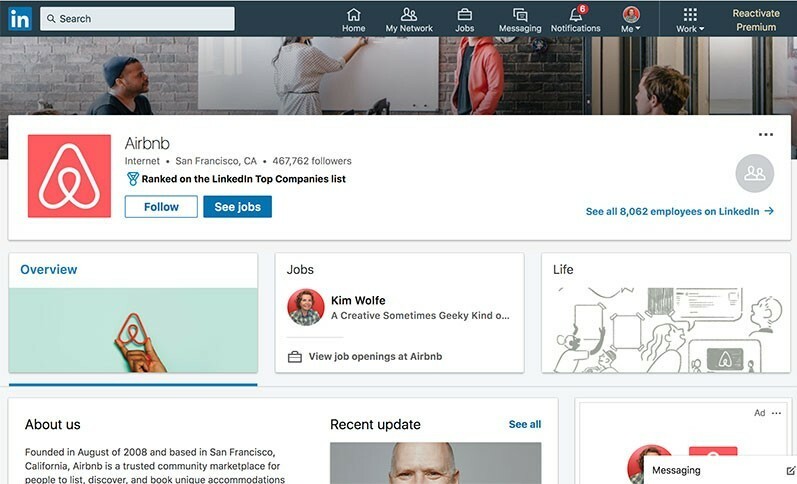 LinkedIn connects Airbnb with people who can work for them and staff their company. A business like Airbnb also needs business services like any other company. To managing payroll and account financing systems to HR policies and regulations. LinkedIn also connects Airbnb to other businesses who can offer them services or products they may need to run their company. 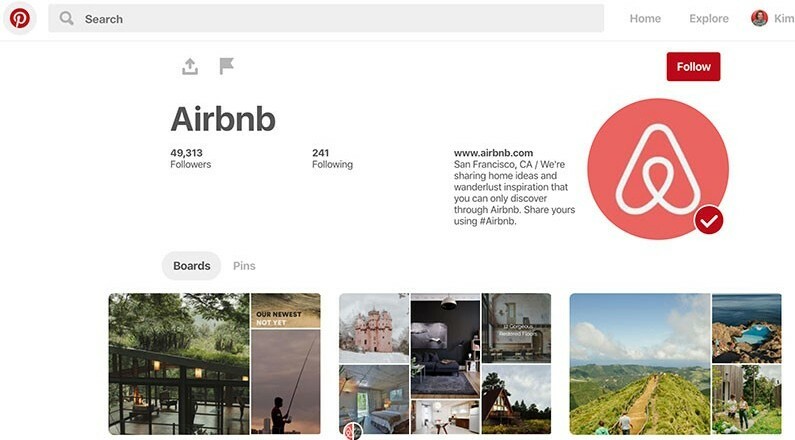 Back to the consumers who want to use Airbnb’s services, Airbnb has built a social community on Pinterest. The Pinterest page links to boards that showcase the places available to rent. To exotic places in Durban, South Africa or The Azores, Portugal to places best suited for family trips, each Pinterest board represents visual photos for all the places you can explore through Airbnb. Airbnb is a good example of using both consumer driven communities like Pinterest and business driven communities like LinkedIn. They have strategic content best suited for both types of audiences. Is Google Search the Next Free Online Life Coach? Hi Kim. I have to agree with you our social media networks have grown tremendously and using them for marketing strategies is a wonderful tool indeed. I knew that Facebook was one the tops but I didn’t realize it was so far ahead of the others. I know You Tube is not necessarily a social but I have been hearing talk about it being on the rise as another tip as well. Thank you for all of your wonderful information. Thanks for stopping by Melissa. Social Marketing is definitely a huge part of digital marketing today. YouTube is considered to be a social network as it has social features and is all about engagement. And because it is owned by Google, Adding videos to your blog posts can help with SEO. Kim, I got some great ideas from this post. When I did my first website, the social media training had me set up four social media accounts. As you say this was a big mistake. Not using nor liking social media I got quite frustrated. In fact I am still like this. I just went in to add my new site and, guess what, the procedure and format has changed and the instructions are not clear. This time I am setting up one SM site at a time (at least I have my accounts already set up). I have already linked my site to my FB but had never thought about doing it to Instagram. I guess it would work with Pinterest too as that is photo rich. You have activated some brain cells with this article so thanks.